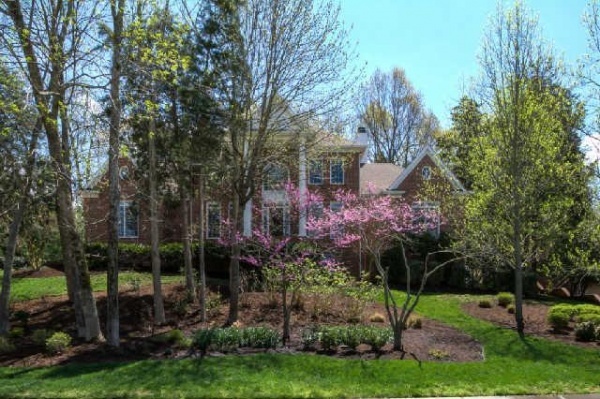 Set on a hilltop amongst mature trees in beautiful Belle Rive is this spacious 6,551 square foot retreat situated on more than one-half acre of colorful landscaping at 6325 Wescates Court. 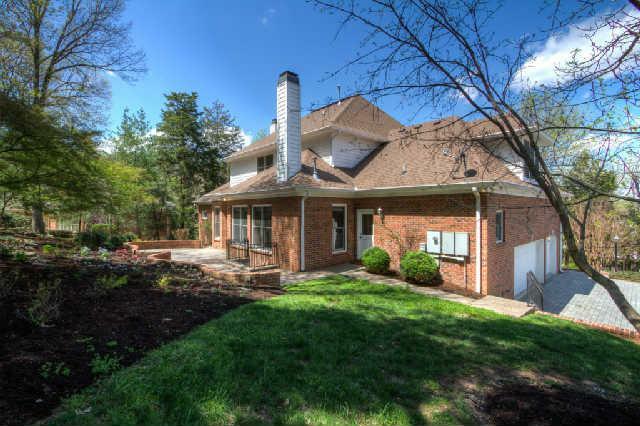 Custom built, it features five bedrooms and four and one-half baths on three levels with wonderful amenities, including accent lighting, an irrigation system and parking capacity for three. 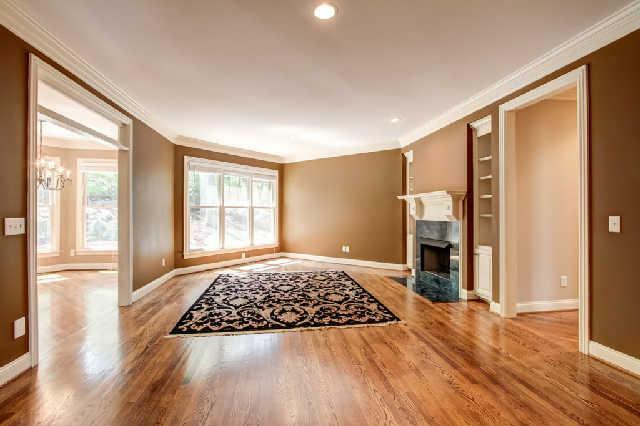 Priced at $849,000 – it even has an expansive basement level that includes several rooms including a kitchen – making it a great area for entertaining as it’s wired for audio and video. There’s even enough room for an in-law suite. 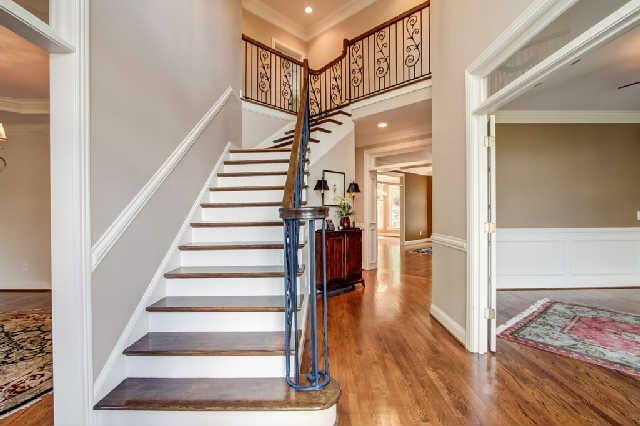 From the moment you walk into this stately home, you’ll notice many upgrades – like scrolling wrought iron railings, gorgeous chandeliers, granite and marble countertops and modern fixtures. 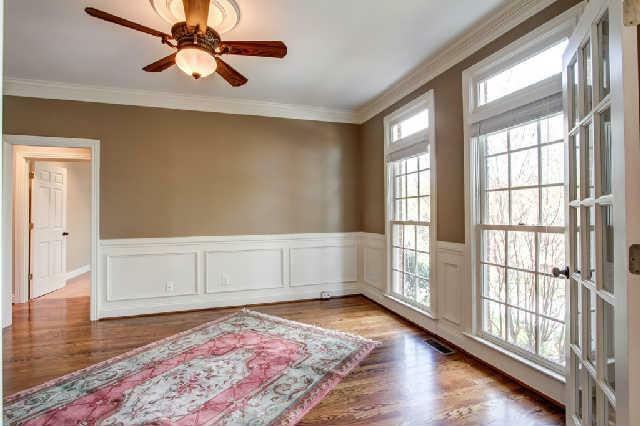 The hardwoods throughout the first floor gleam as natural light in this home shines throughout. Spectacular trey ceilings, wainscoting and charming built-ins are just a few of the unique touches you’ll find especially pleasing. 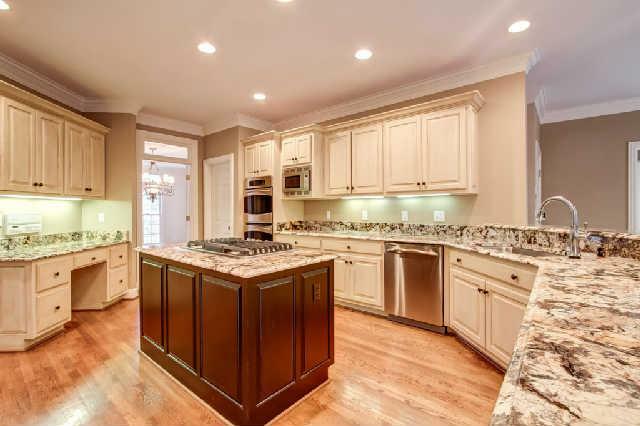 The kitchen, always the heart of a home, is a real treasure at 6325 Wescates Court. It features lots of counter space for the chef in the family, including beautiful light cabinetry, granite countertops and stainless steel appliances including double ovens, a gas cook top, island, walk-in pantry and convenient desk area. 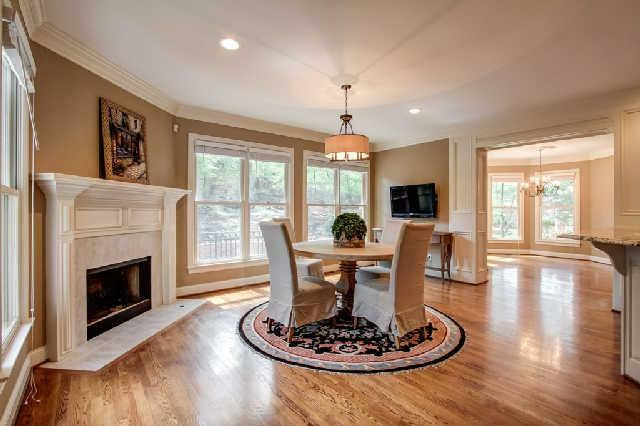 The kitchen also features a cozy keeping room highlighted by a wonderful fireplace along with large windows. It overlooks the private patio and professionally landscaped backyard and is adjacent to another room that could be used as a sunny breakfast room. It’s attached to a bright and airy living room with another fireplace flanked by lovely built-in shelving. 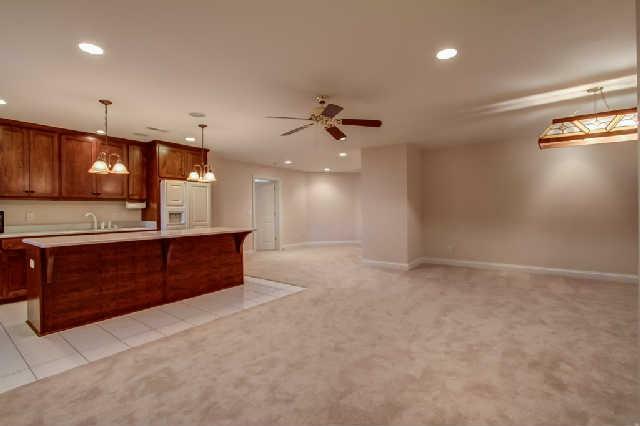 The three room configuration creates a large open space with a natural flow that’s ideal for entertaining. Two unique French doors connect the kitchen to the dining room that’s big enough for a crowd. A sophisticated chandelier hangs beautifully under the refined trey ceiling. Opposite the dining room, on the other side of the foyer is another room that could be used as a study, office or sitting room. 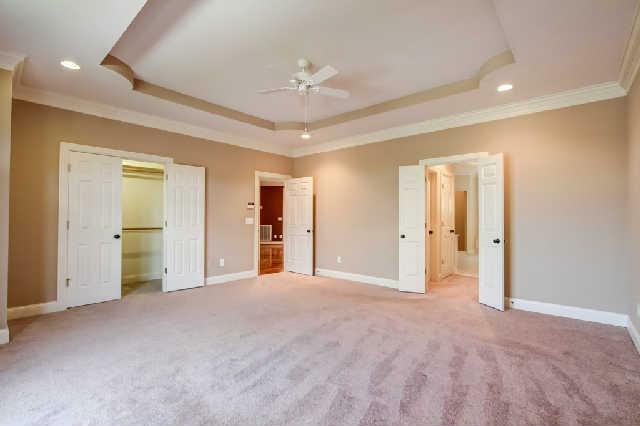 The first floor master bedroom is a real retreat – serene and spacious with enough room for a sitting area. The stained glass window in the en suite bathroom is a stunner. Also included are his and her walk-in closets along with two sinks, lots of counter space, a shower and large soaking tub for the ultimate in relaxation. 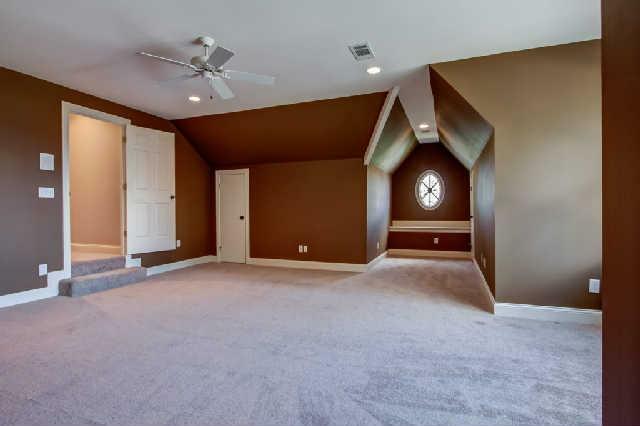 The second floor of 6325 Wescates Court features a large bonus room which is ideal for kids of any age, along with three additional bedrooms, one which is the popular Jack-and-Jill type. The paint colors are neutral, the carpet is new and the bathrooms have been upgraded, so it’s move-in ready.